If everything is caused by innumerable ‘factors,’ then we had best be very careful in any practical actions we undertake. We must deal with many details, and so it is advisable to proceed to reform this little piece and see what happens, before we reform that little piece too. In so far as the family as an institution turns women into darling little slaves and men into their chief providers and unweaned dependents, the problem of a satisfactory marriage remains incapable of purely private solution. No social study that does not come back to the problems of biography, of history and of their intersections within a society has completed its intellectual journey. When white-collar people get jobs, they sell not only their time and energy, but their personalities as well. They sell by week, or month, their smiles and their kindly gestures, and they must practise prompt repression of resentment and aggression. Society’s limit on achievement is the glass ceiling that gives a resting point for those who fail to have their achievements defined by others. 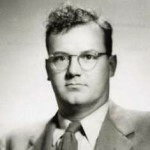 Charles Wright Mills was born in Waco, Texas. He was an American sociologist, and a professor of sociology at Columbia University from 1946 until his death in 1962. Mills was published widely in popular and intellectual journals, and is remembered for several books, among them The Power Elite, which introduced that term and describes the relationships and class alliances among the U.S. political, military, and economic elites; White Collar, on the American middle class; and The Sociological Imagination, where Mills proposes the proper relationship in sociological scholarship between biography and history. He graduated from the University of Texas at Austin in 1939 with a bachelor's degree in sociology and a master's degree in philosophy. Mills received his Ph.D. in sociology from the University of Wisconsin–Madison in 1942.